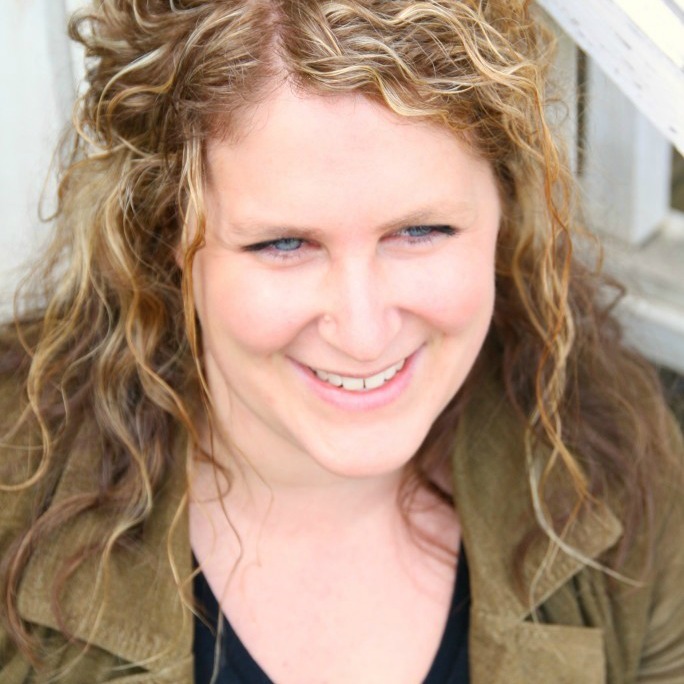 I never thought to post them before because they seem so simple – but isn’t that what this is all about? 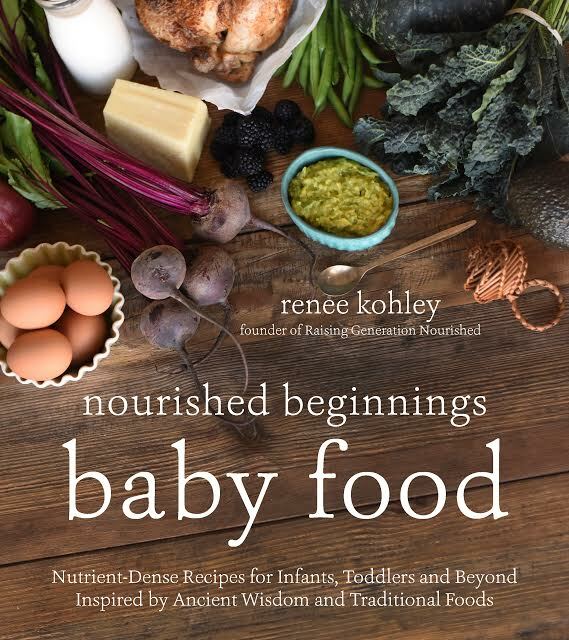 I really want to show you that you really *can* feed real food to kids in the “real world”. As in…simple. As in…busy schedules and not a lot of time to prep lunch. I’m not a fancy chef. I have zero culinary background! But I have figured out some ways to not only make real food just as fun as the processed stuff some kids are used to…but also make it taste amazing! These literally take about 5 minutes to prep and a little over 15 minutes in the oven – just as fast as making a box of mac n cheese for lunch! It’s a great way to get some extra veg in the kids for lunchtime, and it makes a great side to grassfed burgers for dinner! 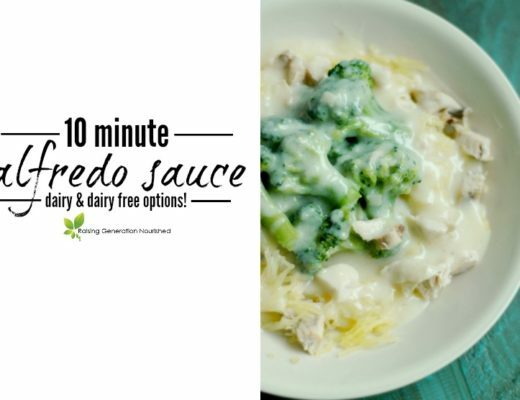 ¼ cup or so grated parmesan cheese for the top you can leave this out if you are dairy free! 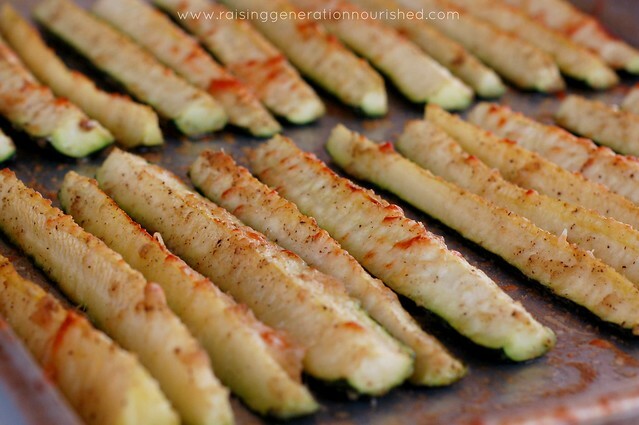 Put the zucchini on a baking sheet and toss them with everything but the cheese to coat them well. 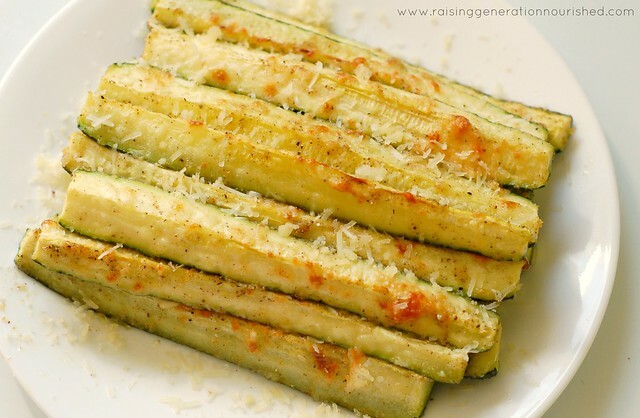 Line up the zucchini so the flesh is facing up, and sprinkle with the parmesan cheese. Bake at 350 degrees for 15 minutes, and then under the broiler on high for another 3-5 minutes. Just watch them under the broiler after a few minutes so they don’t get too brown. See! I told you! Simple! Don’t forget the babes too! My 9 month old was grabbing away at these last summer and inhales them at almost 19 months now! You can follow my Lunches board on Pintrest for more Lunch inspiration! Keep me posted how the kiddos like them! Let me know how the boys like them! 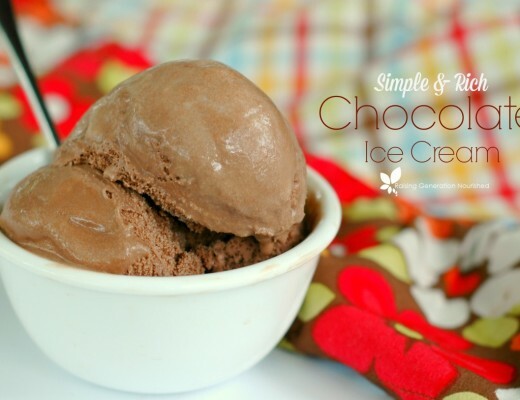 So simple + delicious! Looking forward to making these. I know Tiny Love would really enjoy them. No one’s ever accused me of being a fancy chef either, Renee 🙂 That’s exactly why I appreciate simple, healthy recipes like this! I love this idea. 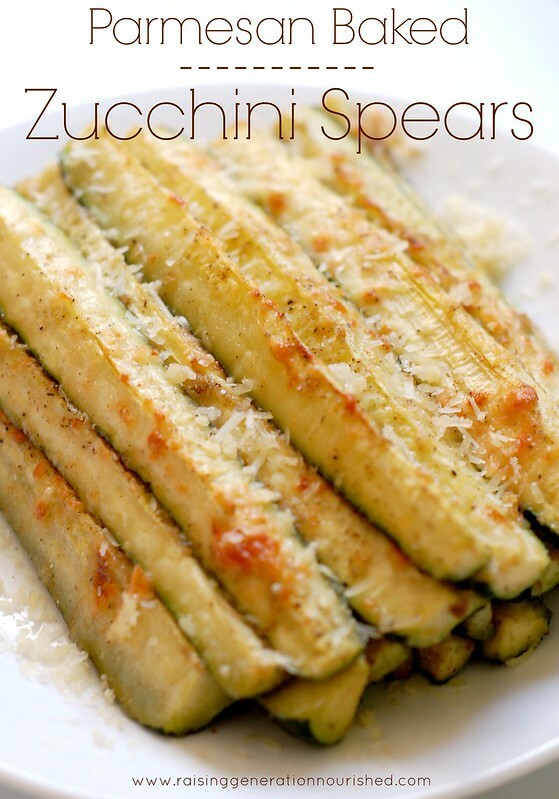 Pinned to make with my garden zucchini this summer! I can’t wait to try them on the grill this summer. 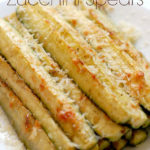 These look so good Renee, I haven’t made anything with zucchini in such a long time as my husband and son are not fans of this vegetable. But I love it! I should just make it and see what they think. I bet they would love it!! I love the spices you use and that final use of the broiler!! Definitely planning to make these. Try dipping them in marinara sauce. It’s great! SIMPLE!! Easy and quick prep and look festive and scrumptious! Thanks. Will pin for later and be sure to make these, Renee! Was thinking of mixing all those wet/powdery ingredients in a bowl and then pouring/use a pastry brush to put on zucchini. Very excited to try these too:) I am def not the best in the kitchen but I’m trying… My 19 month old has until recently eaten almost everything with gusto…but all of a sudden, he’s becoming very picky:/ So I’m hoping he likes these:) I have access to zucchini and squash fresh from the garden but they are the fatter kinds…not sure what to do with those! Those should work too Cyndi! Um, what on earth is a ‘box of macaroni cheese’?